A comic book movie about a superhero who's half-human, half-Atlantean, where most of the action takes place underwater in a technicolour dream world, where warriors ride atop giant seahorses and sharks come attached with what may as well be frickin' laser beams. So, yeah, ridiculous. But that's what makes Aquaman, almost inexplicably, work. It is so unapologetically over-the-top, its madness is undeniably entertaining. The latest instalment in the DC Extended Universe has shed the self-serious nature that's dragged down predecessors like Batman v Superman and Justice League, adopting a philosophy of "well, why not?" It feels like every idea that was pitched in some production meeting, no matter how outlandish, was met with "well, why not?" and ended up in the final product. 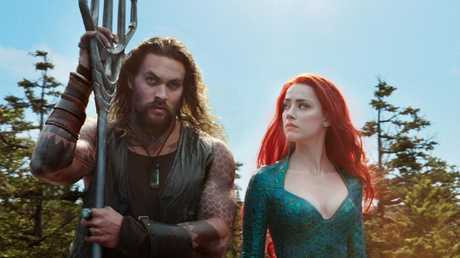 With Arthur's younger half-brother Orm (Patrick Wilson, doing his best Richard III impersonation) preparing to unite the seven underwater kingdoms through subterfuge and wage war on humans, Arthur is recruited by Mera (Amber Heard) to reclaim the throne of Atlantis and stop him. Oh, and there's a pirate out for revenge on Aquaman. The story in Aquaman almost doesn't matter, and if you want to enjoy yourself, you have to let it go or you'll be lost in how silly it is or how awful and cheesy the writing is. 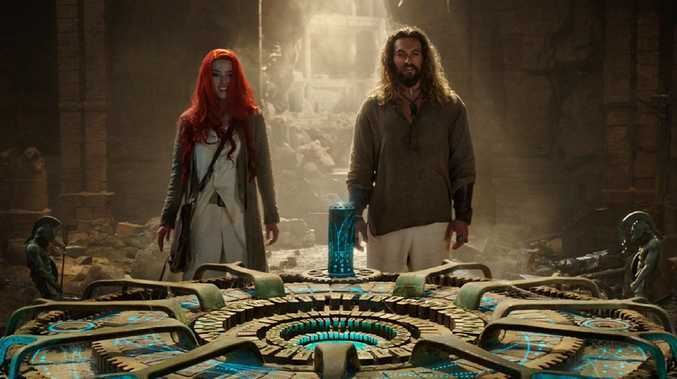 Or the fact that Momoa and Ariel-costumed Heard have little on-screen chemistry - a scene of them Indiana Jones-ing in the desert recalled Daniel Craig and Lea Seydoux traipsing around in similar climes in Spectre - and that is not a comparison you want to draw. While Kidman continues to be excellent in everything she does, despite wearing the most preposterous costume, everyone else is so-so - and Willem Dafoe is criminally underused. The characters are all underdeveloped and Aquaman never really explains Orm's motivations - because humans have dumped megatons of garbage into the oceans? Or is it just a Machiavellian power grab? But that's not why you're here. 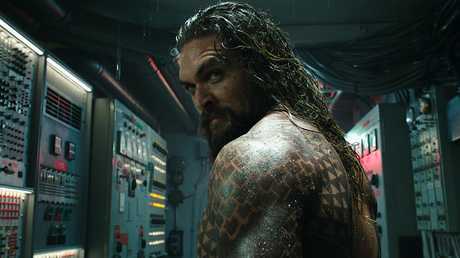 Aquaman's only raison d'etre, surely, is to entertain. And it does. Director James Wan's strategy seems to be an all-out assault on your senses, throwing as much action as you could possibly handle, and then raining down some more. There is no reprieve. While the movie suffers from tone inconsistencies in the first half-hour, they eventually become less of an issue when you realise the tone is actually just to go full tilt, whether that's a Bourne-style rooftop chase or an insane but visually impressive aquatic battle.